Trapped. For eleven-year-old Gopal and his family, life in their rural Indian village is over: We stay, we starve, his baba has warned. 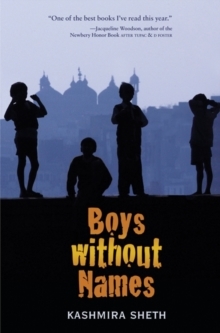 They flee to the big city of Mumbai in hopes of finding work and a brighter future. Gopal is eager to help support his struggling family, so when a stranger approaches him with the promise of a factory job, he jumps at the offer. ?But there is no factory, just a stuffy sweatshop where he and five other boys are forced to work for no money and little food. 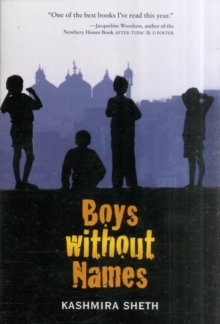 The boys are forbidden to talk or even to call one another by their real names. Locked away in a rundown building, Gopal despairs of ever seeing his family again. But late one night, when Gopal decides to share kahanis, or stories, he realizes that storytelling might be the boys' key to survival. If he can make them feel more like brothers than enemies, their lives will be more bearable in the shop-and they might even find a way to escape.